The benchmark is already available from the Maxon website, working through the Windows Store or the Apple App Store on Macs. It does not look like there is a separate standalone download. The new benchmark implements a number of new features available for x86 processors. 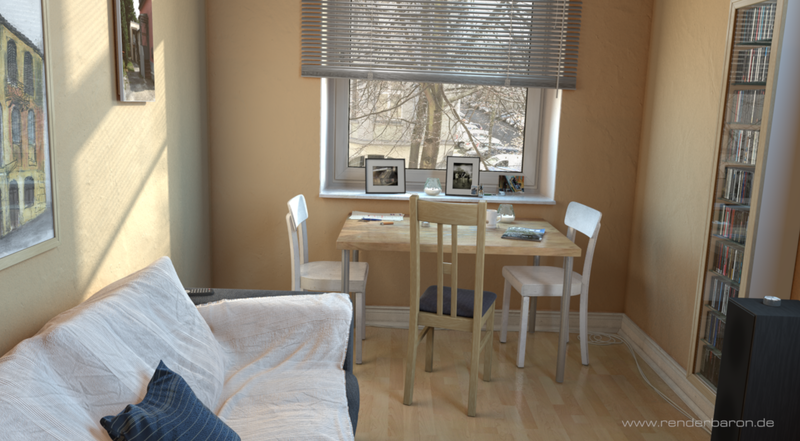 This includes newer AVX instructions, implemented through Intel's Embree raytracing technology, applicable on both AMD and Intel processors. 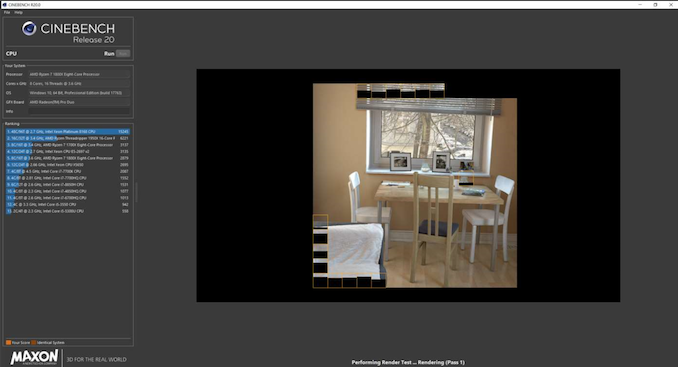 The new benchmark focuses purely on CPU performance, and solves one of the issues with the R15 version - it now scales beyond 64 threads better by having a larger scene. There will be a minimum performance limit to run the new benchmark, which is listed as a memory limit. Similar to R15, there is a single threaded test and a multithreaded test. The GPU test has been dropped (it hasn't been relevant for a long time). With my Whiskey Lake Core i7-8565U that I'm writing this news post on, I scored 1245 points. We will be looking to see if we can roll this benchmark out across our CPU suite. GPU doesn't affect scores. I don't think memory does either, but I can't say for sure. Except you're wrong because the 6900K has 8 cores and scores just slightly more than Ryzen 1700X which is inline with every other benchmark. So it's not really 'far ahead' given the core count and it's position as HEDT at the time of release. You'll always see decent scaling with frequency unless there is a bottleneck feeding the instructions or whatever. 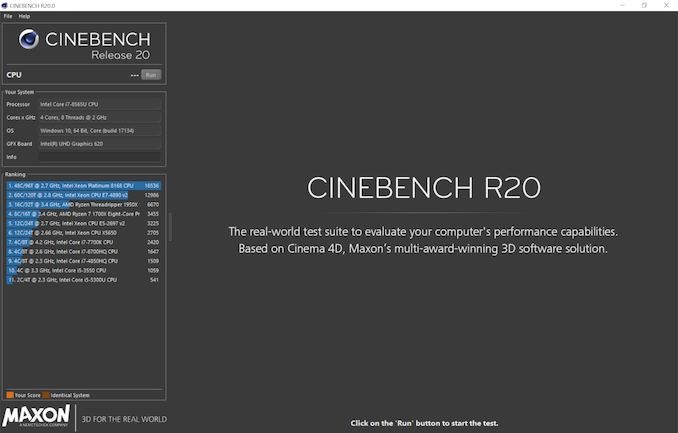 "Cinebench scales with core count as opposed to clock speed" makes no sense whatsoever. What you meant to say that it scales with core count well. Scaling with frequency is implicit. Ryzen 5 1600 stock (though it seemed locked at 3.4GHz throughout), 16GB (2x8) @ 3000MHz - 2542 points, so it does just overhaul the 7700K. 3930K @ 3.2ghz, 16GB DDR3 @ 1600mhz, Radeon RX 580. - 2020 points. Actually surprised how near this 8+ year old rig gets to more modern machines at stock clocks.